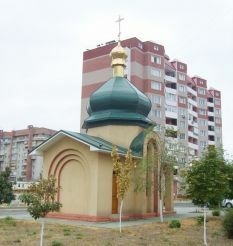 In the residential area of Zaporozhye erected Cathedral of the Holy Prince Vladimir. 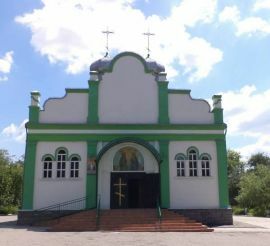 Compact height of the church was built in one layer, its dome crowned by a wonderful green onions with gold dome and cross. The main entrance is decorated arch supporting canopy over it. The door is made in such a way that the impression of a long corridor arches. Cathedral window are formed as arches. 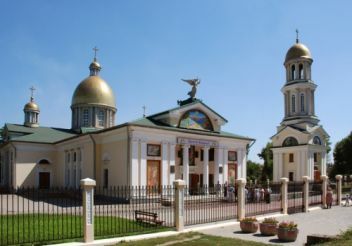 The temple was built in the short term at the expense of Zaporizhia house-building plant. 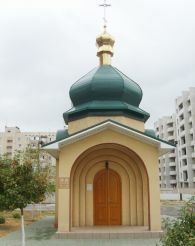 Cathedral is located near one of the high-rise buildings at street Novokuznetskaya, 5-a. In 2009 the church was consecrated and opened its doors to the faithful. 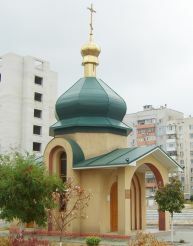 The temple belongs to the Kyiv Patriarchate. 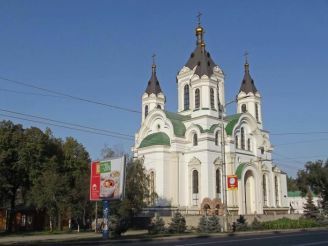 Nearby is a few cathedrals: St. Andrew`s Cathedral , Holy Virgin and Holy Trinity .